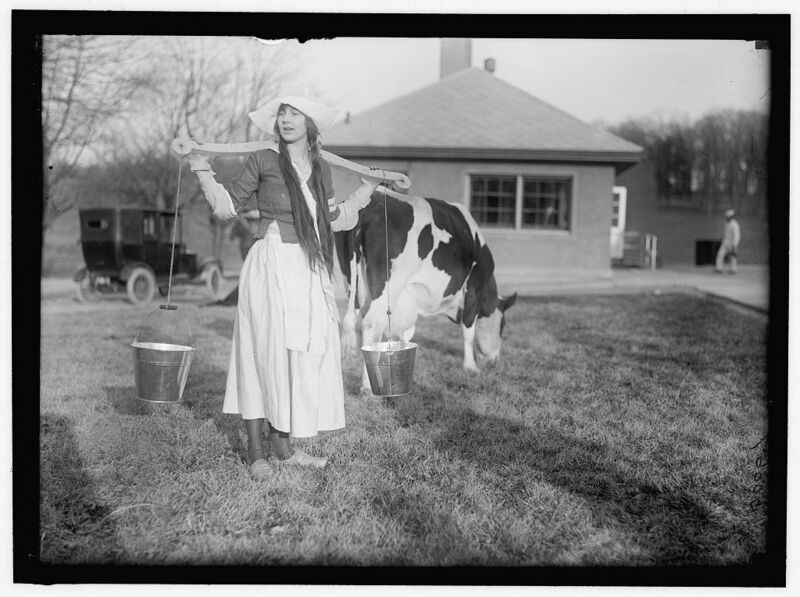 Milk Maid at the Old Soldiers’ Home, 1919 | Park View, D.C.
As I’ve posted about before, a large portion of the area where the Washington Hospital Center currently sits was once the dairy of the Old Soldiers’ Home. 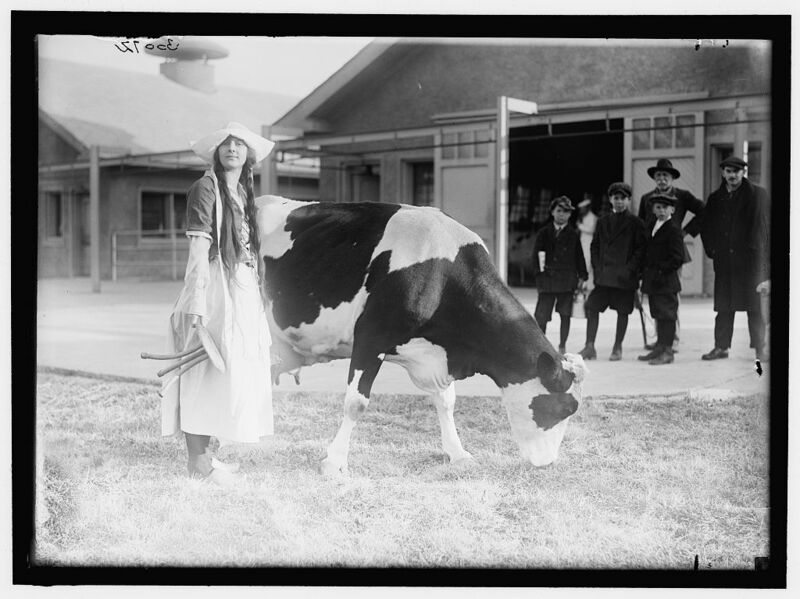 Due to the dairy’s proximity to Washington, it lent itself as a convenient location for area photographers needing a rural setting. One of those occasions is documented here. 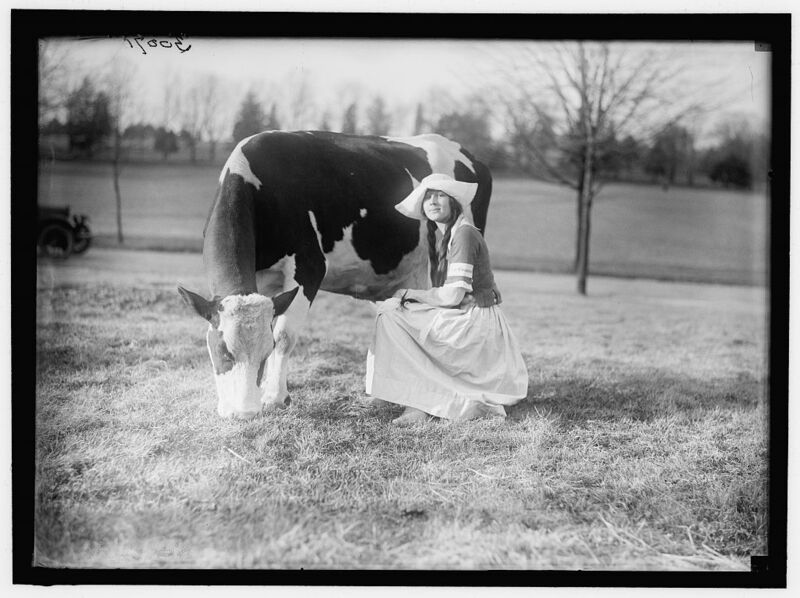 These images belong to a series of nine that show debutante Virginia Eckles posing with Holstein “Bunnie” in February, 1919, by photographers Harris & Ewing. The photos were used to promote a Mardi Gras Fete held at the Wardman Park Hotel to benefit the free milk fund for the babies of France. 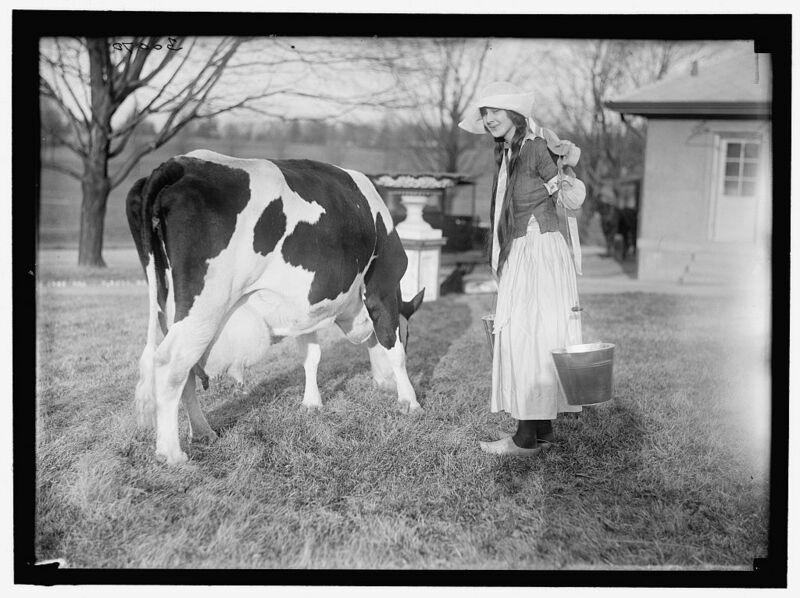 At the event, Miss Courtney Lett’s debutantes dressed in milkmaid costumes and wooden shoes as part of the milk theme. The fund-raiser was able to raise over $9,000 for the Free Milk for France fund. This entry was posted on February 10, 2011 at 7:01 am and is filed under History. You can subscribe via RSS 2.0 feed to this post's comments.